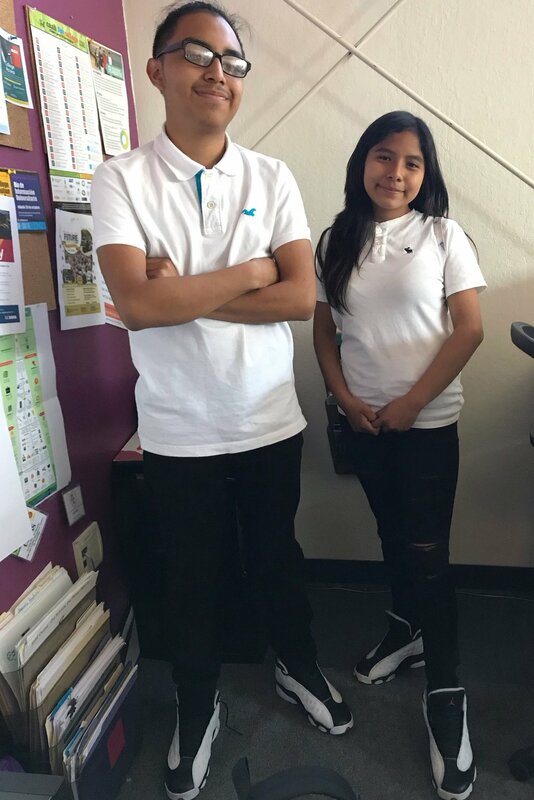 Clarisa (right) poses with Juan (left) in their Twin Day outfits during RYSE’s Spirt Week, as part of our month-long 10 year anniversary celebration! My name is Clarisa Gachupin, I am 13 years old and I attend REALM Charter School. I have been a RYSE Member since July 2018. From my brother, he’s been a member since he was 13. My favorite thing about RYSE is the people, I make new friends and participate in many programs with them. The programs I attend every week are Grow Your Bites, Education for Liberation, College A-Z, Line Dancing Into Cultura, Grill & Build, Sin Fronteras. Meeting new people (staff and members), getting advice from staff. Invisibility, sometimes I want to be left alone. If I’m invisible no one can see me so I can relax. Being able to be there for another person who is struggling through something. Being able to listen and give them advice. Clarisa supports during RYSE’s outdoor movie night as part of our members and families appreciation week, October 2018.